ProgressTH: Can DIYbio Save Canada's Salmon? Can DIYbio Save Canada's Salmon? 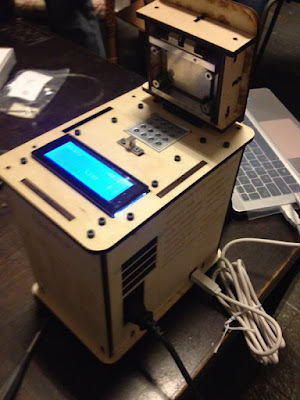 December 27, 2015 | ProgressTH We recently introduced the concept of do-it-yourself biology (DIYbio), and how it empowers local communities, giving them greater insight into the living world around them. With the opensource tools being developed by community labs and makerspaces around the world, local communities can more easily make inquiries into the health and quality of the natural environment around them, including what they eat. We are only just beginning to see a variety of opportunities to finally apply these tools and techniques practically. One of these opportunities may be tracking diseases affecting species of interests, like wild salmon in British Columbia. A 2013 documentary titled Salmon Confidential followed biologist Alexandra Morton as she sought the cause of massive die-offs of British Columbia's wild salmon. Suspecting salmon farms located along the migratory routes of wild salmon may be spreading contagions among wild populations, she and an army of volunteer DIY-biologists examined fish, collected samples, and sent them off to labs for analysis. Their work prompted a reaction from the Canadian government and regulatory bodies, and while that reaction was far from satisfactory, Morton's work has gained the attention of people around the world of potential problems that need to be overcome if wild and farmed fish are to be maintained as sustainable food sources. Some of the obstacles apparent in Salmon Confidential included Morton and her team's inability to perform tests themselves. Morton hopes to eventually establish a local lab that can take and process samples. The labs would serve a growing community of people concerned with the well-being of wild salmon, chief among them local fishing operations. But for now, cost is an obstacle. 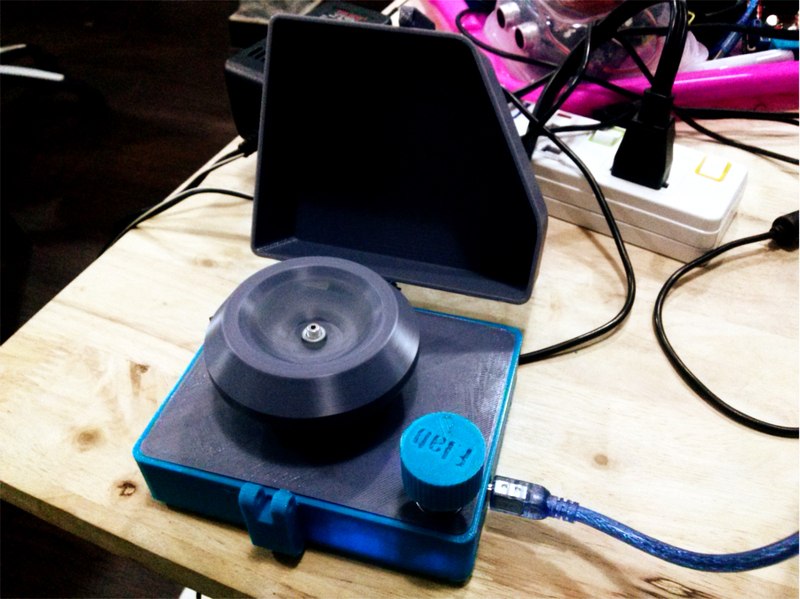 Opensource, 3D printed centrifuge developed by Bangkok-based F.Lab. Its design is available for free on Thingiverse for anyone in the world to download, print out and assemble for themselves. Tools like this are simple, but unless you make your own, you will have to pay a significant amount of money for professional lab equipment. Currently, the lack of cheap, accessible tools to do what Morton and her team would like to do themselves locally, limits awareness of what people are eating and what is living in or near their communities. As low-cost, open source tools become more available and the number of people using them grows, the level of both awareness and interest in the living environment, including what we eat and use from it, will grow too. While DIYbio often sparks initial interest, the next question that usually follows is of what practical use is it? For Canada's wild salmon, the ability to do low-cost DNA extraction and PCR analysis for DNA barcoding and identifying contagions could greatly enhance the work of local communities trying to track and maintain the health of the fish. Rather than costly and time consuming spot-checks which require samples to be shipped sometimes overseas to be analyzed, more frequent, quicker, and cheaper analysis can be done locally. If a problem is discovered, a sample can then be sent to a certified lab to be confirmed. The more widespread awareness is, the more difficult it will for regulators to dismiss long-term issues in exchange for short-term benefits. And while DIYbio is often equated with open source tools like OpenPCR, the communities of people drawn together to pursue DIYbio are just as important. These groups serve as a support base for others interested or in need of using biotechnology. They can help others to solve a specific problem or to work on a specific project. Having people in your community who already have experience in this sort of problem solving will become increasingly important as matters of biology and biotech gain prominence. In the end, raising greater awareness and making the tools to understand and manage biology at the molecular level more widely available will benefit everyone, including the fish farms currently at the center of British Columbia's salmon controversy. Morton's work has also helped expose high levels of toxins found in farmed salmon, which results from the food farmers provide their salmon. The ability to test the quality of salmon coming from farms may force farmers to undertake expensive measures today, but the benefit of developing a product that is without doubt safe and healthy in the long run will benefit both fish farms and the people who depend on them for food. While more astounding applications in the fields of synthetic biology and human health still wait to be tackled by DIYbio, for now, the greatest application is insight into the living world around us at the biological level. When people are uninformed, it is easy for others to take advantage, leaving costly problems to linger. In the end, this hurts not only those who do not know, but eventually when the public finds out, it hurts those who knew all along. Raising greater awareness through the use of DIYbio tools disseminated across a wider number of people in communities around the world, will help expose these problems sooner and make it more difficult for regulators and industry to drag their feet or not move them at all regarding problems they are generally already aware of.